← Are We Happier Lying to Ourselves? Our forebears thought the sky was a solid dome above the Earth, in which the stars were embedded. By the second century AD, we had realized that the planets were out in space, but we still thought the Earth was the center of the universe. In 1543, Copernicus published On the Revolutions of the Heavenly Spheres, arguing that Earth and the other planets orbit the Sun. This offended our self-image so much that when Galileo supported the idea, we imprisoned him. The Copernican view was finally accepted, but we still thought we were exceptional because the laws of physics were different on Earth than in the heavens. Isaac Newton changed all that. In 1687, he published Mathematical Principles of Natural Philosophy, proving that a single Law of Gravity could explain movements in both heaven and Earth. 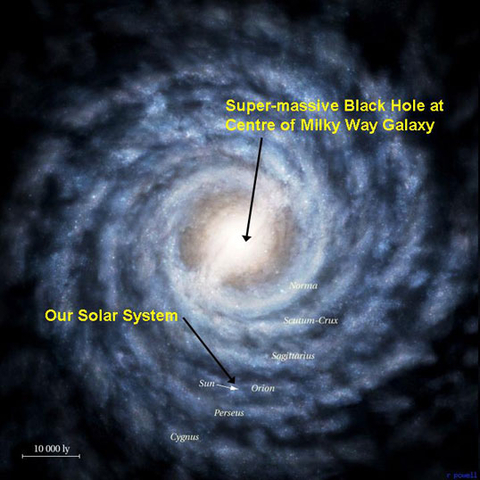 A century after Netwon, thanks to the tireless work of William Herschel and his sister, Caroline, it became known that our solar system is embedded in a gigantic galaxy, the Milky Way. When Friedrich Bessel measured the distance to a nearby star as 11.4 light-years, people were agog. In 1920, we learned that, not only were we not at the center of the solar system, but our solar system was not at the center of our galaxy. Later in that decade, we would learn that our galaxy was but one among many. Close on the heels of that discovery, Edwin Hubble proved that the universe is expanding. We were becoming a smaller part of the whole all the time. And at an accelerating rate: at the close of the century, we realized that the universe is flying apart faster and faster. Working the expansion backward, Alexander Friedmann had suggested, in 1922, that the universe could have been born in what we now call the Big Bang. Even Einstein initially called the idea “suspicious” but by mid-century, it had begun to take hold. Apparently we are even less than the dust of the Earth: we are detritus from a random quantum fluctuation. In 1600, Giodano Bruno got himself burned at the stake for, among other heresies, suggesting that the stars were suns much like ours, with inhabited planets. It was not until the time of America’s Civil War that conclusive proof was found that he was right about the suns, and not until after the first Gulf War that he was right about the planets. When I was a schoolboy, I was taught that our world was almost certainly the only inhabited one in the universe. The scientific consensus now seems to be that life on other worlds is inevitable. I was also taught humans were the only animals who could reason or use tools. I just finished a book about an African Grey parrot who could hold an intelligent conversation, in English, infused with a mischievous sense of humor. Many species have been observed not only to use but to make tools. Our self-concept has come a long way from being the apex of creation, in a domed terrarium made especially for us to inhabit, only a few thousand years ago. We now know we are specs on a pale blue dot that orbits a larger, white dot that occupies a not-so-special place two thirds of the way down one of the spiral arms of a galaxy that has, at its center, a supermassive black hole. Coming toward us at 110 kilometers per second is the Andromeda galaxy — three times as large at the Milky Way and with its own supermassive black hole. Fortunately, space is so vast that it will be 4 billion years before the galaxies collide. Our best guess is that when they do, the Earth will first be pulled toward the dual black holes and then ejected to intergalactic space. But nobody will be here to witness Earth’s ignominious end. Three billion years earlier (only a billion from now) the radiation from the Sun will have grown so intense that it will have extinguished the last spark of life on our planet. Life was born here 3.5 billion years ago, and has less than 1 billion to go. Now that we are well past middle age, perhaps it is time to reflect on our accomplishments. If we can be proud of anything, it is this: that we have discovered the vastness of space and time in the universe, and our correspondingly humble position in it. After centuries of fighting against our change in circumstance, we may also be proud of having exchanged our offense for awe. This entry was posted in Inspiration, Science and tagged Inspiration, Life, Science. Bookmark the permalink.